Computer-generated holography could artificially stimulate cells in the eye and even lead to a new strategy for bionic vision restoration, say researchers at Technion-Israel Institute of Technology. Holography could be used in conjunction with optogenetics on damaged retinal nerve cells. In conditions such as retinitis pigmentosa, which affects about 1 in 4000 people in the US, these light-sensing cells degenerate, leading to blindness. 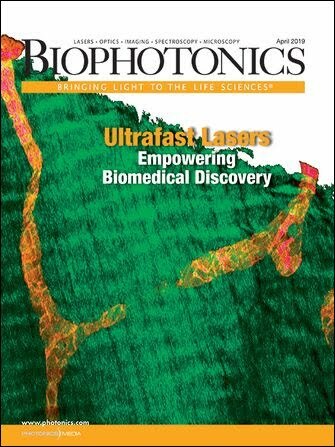 The optogenetic approach photosensitizes the nerve cells so that they can be activated by intense pulses of light. But researchers around the world are still searching for the best way to deliver the light patterns so that the retina “sees” or responds in a nearly normal way, said biomedical engineering associate professor Dr. Shy Shoham. The plan is to someday develop a prosthetic headset or eyepiece that a person could wear to translate visual scenes into patterns of light that stimulate the genetically altered cells. Shoham and colleagues have demonstrated that light from computer-generated holography could stimulate these repaired cells in mouse retinas. Holography proved to be more effective than other options including laser deflectors and digital displays used in many portable projectors to stimulate these cells. Both methods had their drawbacks, Shoham said. Digital light displays can stimulate many nerve cells at once, “but they have low light intensity and very low light efficiency,” Shoham said. The genetically repaired cells are less sensitive to light than normal healthy retinal cells, so they need a bright light source like a laser to be activated. The researchers have tested the potential of holographic stimulation of retinal cells in the lab and have done some preliminary work with the technology in living mice with damaged retinal cells. The experiments show that holography can provide reliable and simultaneous stimulation of multiple cells at milli-second speeds. But implementing a holographic prosthesis in humans is far in the future, Shoham said. His team also is exploring other ways, aside from optogenetics, to activate damaged nerve cells. For instance, the researchers are also experimenting with ultrasound for activating retinal and brain tissue. The work was published in Nature Communications (doi: 10.1038/ncomms2500). The inability to perceive visual images (visible radiant energy). In human beings, blindness is defined as a visual acuity of less than one-tenth normal vision.